A local fisherman set his trawler out for Green Cape, southeast of Australia’s coast, back in January. He came back ashore with a bizarre specimen as a passenger: a rare living fossil that has been dubbed “alien of the deep”. 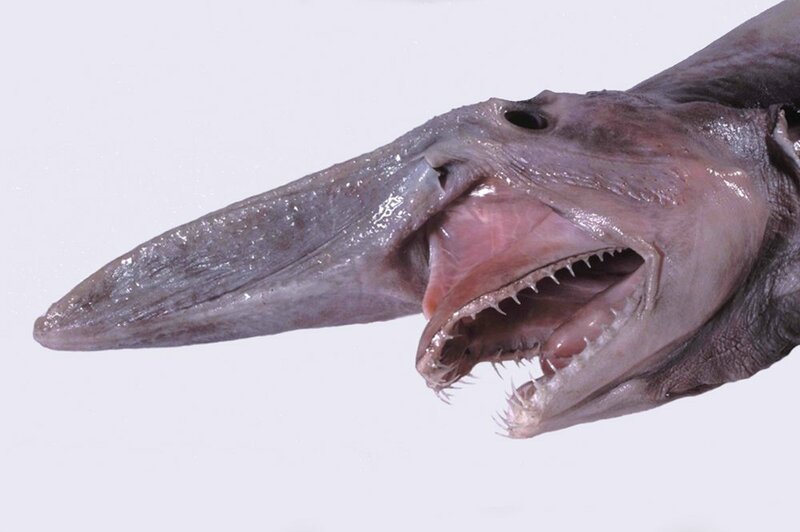 The “alien of the deep” is the spot-on moniker for the goblin shark, the only known living member of the prehistoric shark family Mitsukurinidae that lived as far back as about 125 million years ago. The specimen arrived in Sydney last Tuesday, February 24th. You can now come face-to-face with the prehistoric creature at the Australian Museum, which, as you would expect of anyone who would get a goblin shark as a present, released a video showing off this latest addition to their collection. The fisherman’s catch was initially kept at Merimbula Aquarium before being donated to the museum after it died. The strange-looking shark has a long flattened snout able to sense electric fields of nearby prey at depths of 300 to 900 meters. Another characteristic that makes it unique is its strong jaws with sharp, pointy, nail-like teeth used for spearing its prey instead of slicing it. It can extend its entire mouth forward like a spring at great speed to snag its prey. The museum’s fish collection manager, Mark McGrouther, described how rare the find is; saying this is only the fourth time he has seen a goblin shark. “They are not encountered terribly often, and when they do come here it’s a very special day,” said McGrouther.